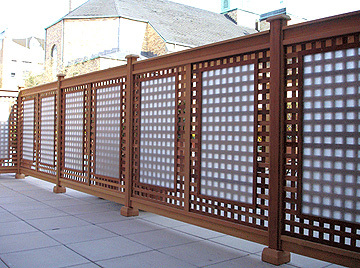 This privacy lattice fence was created for a condominium complex in Brooklyn, NY. 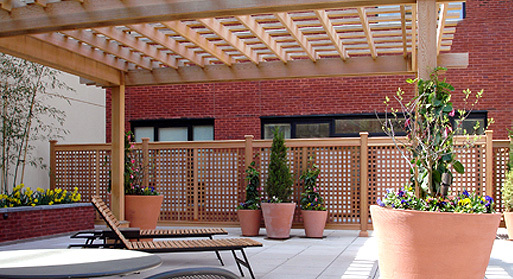 In addition to providing an attractive enclosure for the outdoor patio area, the fencing panels offer additional privacy for the ground floor units in the building. An acrylic panel is framed and layered over the lattice panel. 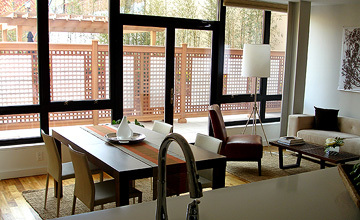 This creates a beautiful effect, maximizing privacy while allowing light to pass through. These acrylic panels were produced with an interesting rice paper-like pattern and texture, however they are available in a number of different patterns, colors and finishes.